A 25th-Anniversary Sizzle Reel Includes New Art Featuring Imprint Classics. Vertigo Comics, DC’s mature-readers imprint, focused much of its Friday San Diego Comic-Con panel on the recent return of John Ridley and Georges Jeanty’s The American Way, before debuting a 25th-anniversary sizzle reel sure to leave fans of the imprint speculating wildly in the days and weeks to come. The video, which Vertigo tweeted following the panel, features excerpts from the imprint’s storied history, including Preacher, Swamp Thing, We3, American Vampire and more, including at least three never-before-seen images: Sandman’s Dream by Jae Lee, “Sandman’s Death by Stanley “Artgerm Lau and the cast of The Invisibles by Jeff Lemire. Neil Gaiman left open the possibility of further Sandman tales in a 2015 interview with Paste discussing Overture, his prequel series with artist J.H. Williams III. 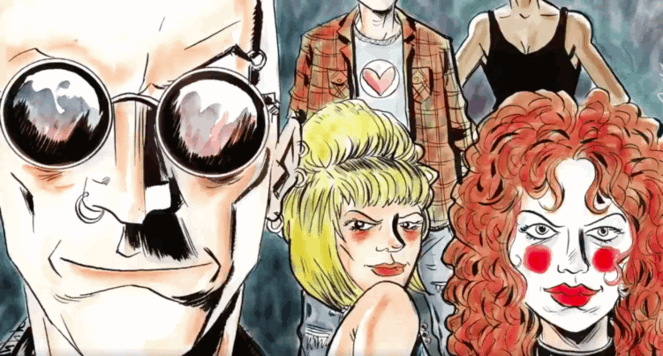 A return to Grant Morrison’s esoteric millennium-era The Invisibles seems less likely but not impossible, given Morrison’s Thursday announcement of a sequel to Arkham Asylum, his 1989 Batman breakthrough. Vertigo’s profile has been reduced in recent years, with founding editor Karen Berger leaving the company and guiding voice Shelly Bond pushed out during restructuring. (Both have since established their own imprints at Dark Horse and IDW Publishing, respectively.) Despite an increased multimedia presence with adaptations including Preacher and Lucifer, the rise of creator-owned publishing at competitors like Image Comics seemed to attract talent away from Vertigo, and the reintegration of former DC characters like John Constantine and Swamp Thing into the main DCU line further diminished the imprint’s stable. Whether these new art teases indicate major returns for Vertigo’s 25th anniversary or merely tribute artwork from industry titans, fans of mature comic storytelling will no doubt be waiting with bated breath to find out more.